Edible oil is made from a variety of raw materials, like: sunflower seeds, cotton seeds, rapeseeds, corn, peanuts, and soybeans, etc. These seeds and nuts are harvested, collected, cleaned, processed, and then crushed to press oil. And these raw materials’ residual, also known as oil cake, is used to be extracted for the maximum amount of edible oil. 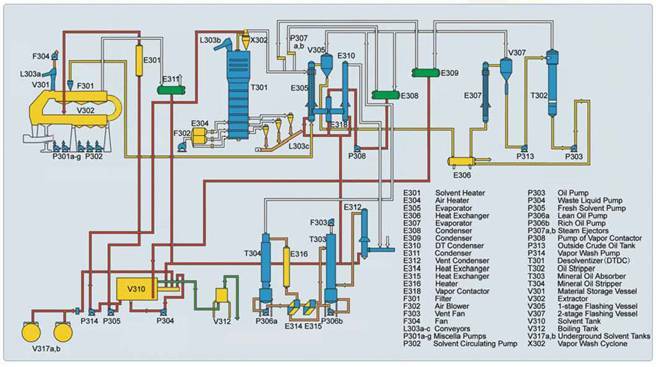 One of the most efficient and widely used large scale extraction technologies for edible oils is solvent extraction. 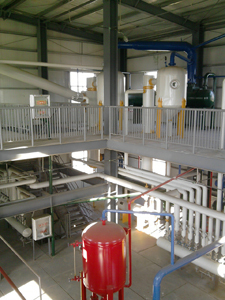 Edible oil solvent extraction uses chemical solvent to dissolve edible oil content contained in cake or oil seeds. Oil is collected by vaporizing solvent out which is later recycled. In this process, oil is removed from ground plant material chemically by soaking it in a solvent, usually the liquid hydrocarbon hexane, which is a component of gasoline. To extract edible oil, the raw materials are put into the feeder of edible oil extraction machine. And then they are transported through the solvent spraying chamber and the speed of transportation can be varied easily. 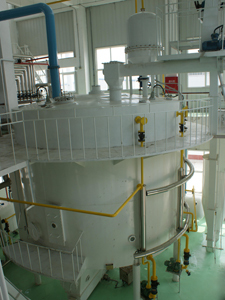 Fresh solvent is admitted into the extraction machine near the discharging end of the moving bed, and the full miscella is recovered from the initial stage, thus ensuring the perfect current flow of the raw materials and the solvent. The extraction machine is designed to give sufficient time for penetration and percolation of solvent into the raw material and to view the distribution, view glasses are provided. At last, the distillation takes place in vacuum, and the extracted oil is collected by vaporizing solvent out for recovery. 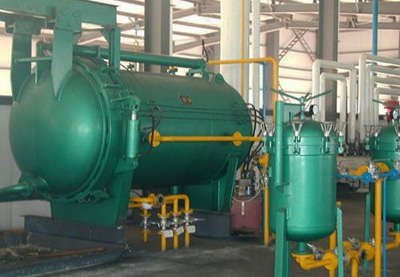 Edible oil extraction is widely used in large and medium scale of edible oil production for the most edible oil.